The process of maturing from the Concept phase to the production phase usually entails a dramatic design transformation of a car. Not so in the case of the new 2020 Toyota Supra A90. With the design heavily based around the Toyota FT-1 Concept, I can clearly say that Toyota designers are brazen. Under the engineering hand of Tetsuya Tada, the Supra’s design team managed to capture all the important styling cues from the FT-1 and successfully translate them into the production car. At least judging by the one leaked photo that revealed the front end of the new Supra. Sure, the photo was captured in a transportation wagon, probably headed for Detroit, but it does reveal main cues rooted in the design of the FT-1 that was unveiled five years ago at the 2014 Detroit Auto Show. 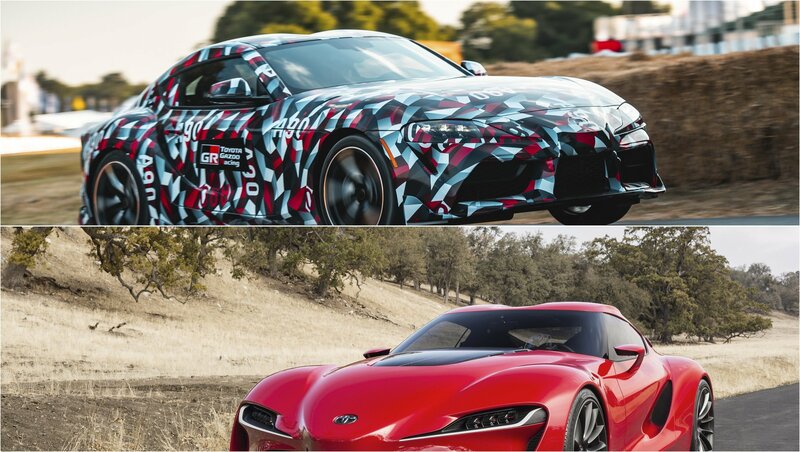 So, how does exactly the new 2020 Toyota Supra A90 compare with the Toyota FT-1 Concept?